Larry Madrigal is a Phoenix-based figurative painter currently exploring the genre of portraiture through a traditional painting style with contemporary urban sensibilities. Since receiving his B.F.A from Arizona State University, his work has been exhibited in the Phoenix Art Museum, Tucson Museum of Art, and international juried exhibitions across the country. Madrigal is also a recipient of Phoenix Art Museum's Contemporary Forum Artist Grant. He lives and works in Peoria, Arizona with his wife Melinda, and teaches Studio Art in Scottsdale, Arizona. For the past five years, I have been exploring the genre of portraiture. The ability to confront the viewer with different ideas through subtle visual devises fascinates me. The work of contemporary figurative artists such as Jerome Witkin and Vincent Desiderio has been impactful in my journey as a painter. In my studio, I do my best to resist current aesthetic trends in contemporary painting and try to strike a balance between concept, imagery and authenticity. To the same degree, I am equally inspired by the old masters, especially their depictions of saints in Art-History. 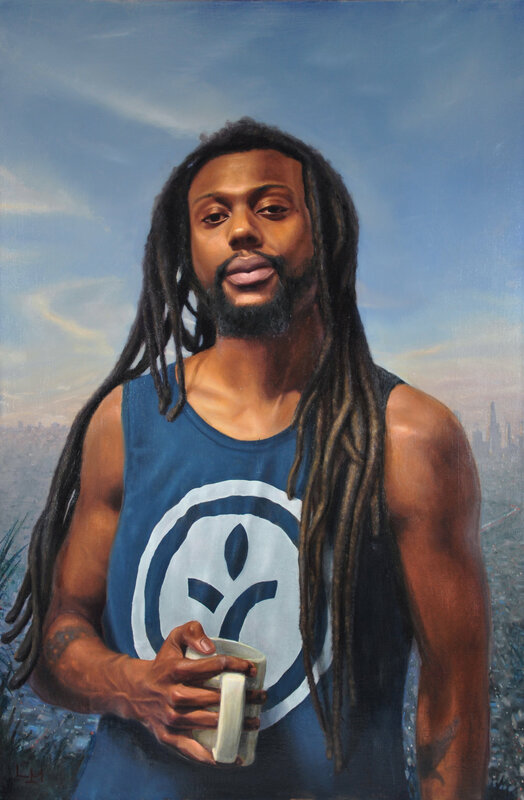 For this reason, I often paint local hip-hop artists and dancers who engage their audience with counter-cultural values. I consider them to be our hidden cultural heroes worthy of being depicted for their genuine service to our communities. Essentially, my work is a continuation of the historical depiction of saints in Art-History, with the addition of urban theologians.